(Press Release) The Dallas Arboretum is offering $1.00 admission every day in August from 9am-5pm while strolling through Summer at the Arboretum featuring the Alice in Wonderland Flower Village and thousands of vibrant colored florals. 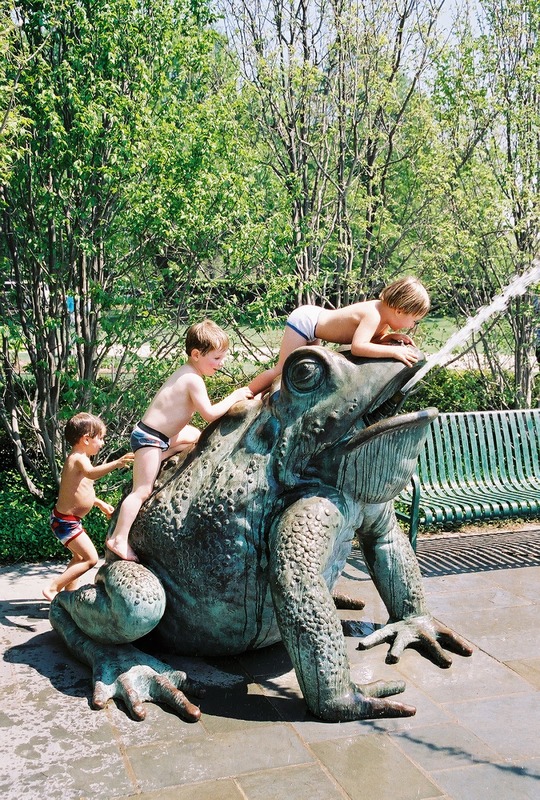 If you have young children, my advice is to dress them in their bathing suits for this outing (or they will end up in their skivvies like my son did) because they will end up at the Frog Fountain. And in August... who can blame them!? Children can learn something new before the school year begins at The Adventures of Great Explorers exhibit with replicas of destinations traveled by Admiral Byrd, Hernan Cortes, Ponce de Leon, Lewis & Clark, Marco Polo and Captain James Cook. The exhibit will be on display through December 31. Stop by the Hoffman Family Gift Store to purchase a treat for children, friends and family, or for yourself. The shop is filled with merchandise on each explorer above and Alice in Wonderland.